The Eurasia Club at The Fletcher School seeks to promote a cultural, historical, political, and economic understanding of the countries of the former Soviet Union. By bringing together students from diverse backgrounds and meeting with experts and practitioners from Russia and Eurasia, the club aims to create lasting connections among individuals, communities, and the region as a whole. For more information about the club, please contact its current leaders, Markian Kuzmowycz and Elmira Askerova. You can also see the list of former club leaders here, subscribe to the club newsletter here, and check out upcoming club events here. 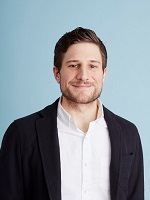 Markian Kuzmowycz is a Master of Arts in Law and Diplomacy Candidate 2019 at The Fletcher School studying International Political Economy with a focus on Eastern Europe. In the summer of 2018, he interned at the New Europe Center in Kyiv, Ukraine. Previously he has worked in finance, economic development consulting, and e-commerce. Markian has served as an international election monitor for two Ukrainian national elections. His research interests include the Balkans, Ukraine, and the Caucasus, as well as frozen conflicts. He speaks Ukrainian and French and is studying Russian. 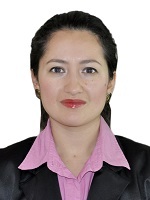 Elmira Askerova is a Master of Arts in Law and Diplomacy Candidate 2019 at The Fletcher School, where she concentrates on International Development. She received a bachelor’s degree in Public Finance from Indiana University, Bloomington. She started her career in the corporate sector working for Chase Bank in retails sales in New York City and then joined Deloitte management consulting in Astana, Kazakhstan. She then pivoted her career toward foreign affairs by joining the Public Affairs Section at the U.S. Embassy in Astana. Last summer, she interned with the World Bank in Washington, D.C. working on a project advising Central Asian governments on how to leverage new technology. @FletcherRussia @georgetownsfs @FletcherSchool @TuftsUniversity I had a great time. Thanks @FletcherRussia for awarding me the prize! Thanks so much to @Fletcher_RLD for organizing an excellent panel discussion earlier this week on religion in #Russia-Ukraine relations with Dr. George Weigel @EPPCdc, Dr. George Soroka @Harvard, and Dr. Elizabeth Prodromou @FletcherSchool @TuftsUniversity.